*Lightly sand the entire surface of the *ball with Abralon Pads. Use the appropriate grit to maintain your ball's original reaction. *Ball is due for an Oil Extraction. 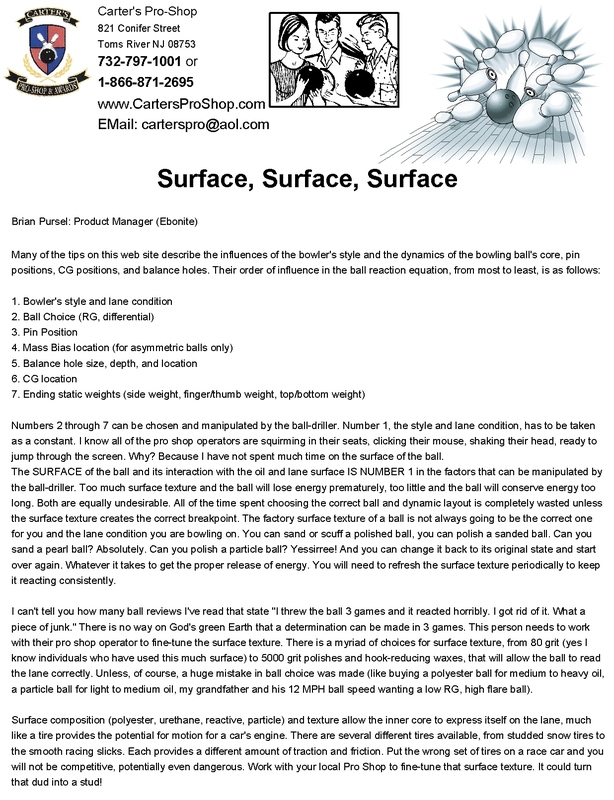 *Polish the surface of the ball with a cotton towel and a Ball Polish. Pads, and re-polish with a ball polish. 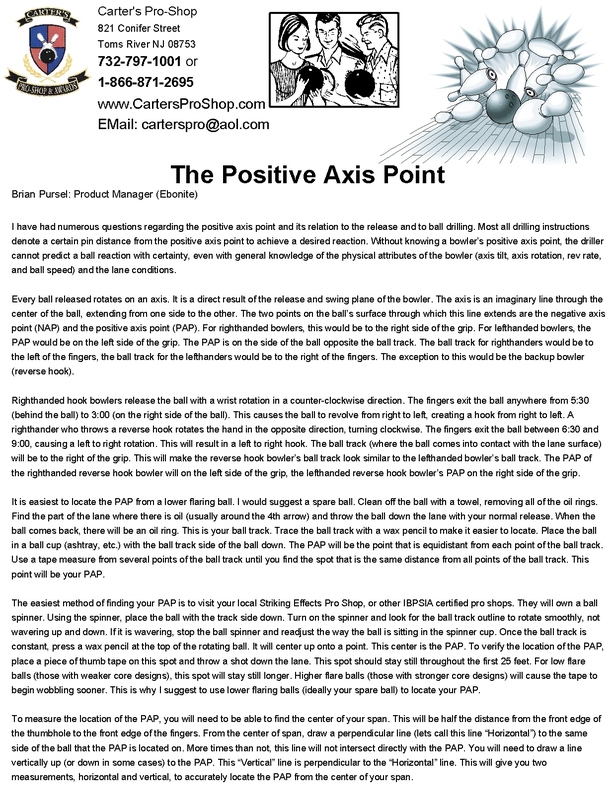 Why should you change your inserts? You wouldn’t go a whole year without changing your car engine's oil and still expect it to run smoothly, would you? Then how can you expect to perform your best on the lanes with old finger inserts in your bowling ball. Research has shown that after 3-4 months or 60-80 games, the fit and texture of your finger inserts have changed. Finger inserts are made of a soft vinyl material which wears with frequency of use similar to the tread on a tire or the sole of a shoe. Excess wear enlarges the size of the finger insert hole altering the fit and span of the grip. 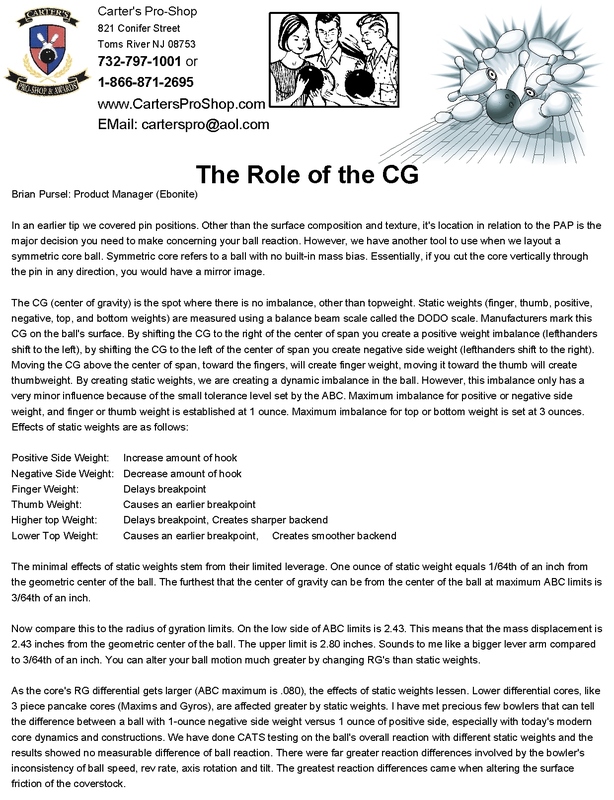 Proper fit and span are among the most crucial elements of ensuring a strong sense of confidence and performance on the lanes. In addition to wear, finger inserts are also exposed to various substances, like rosin, hand conditioners and lane oils, which alter the feel and texture of the insert ultimately affecting the release. 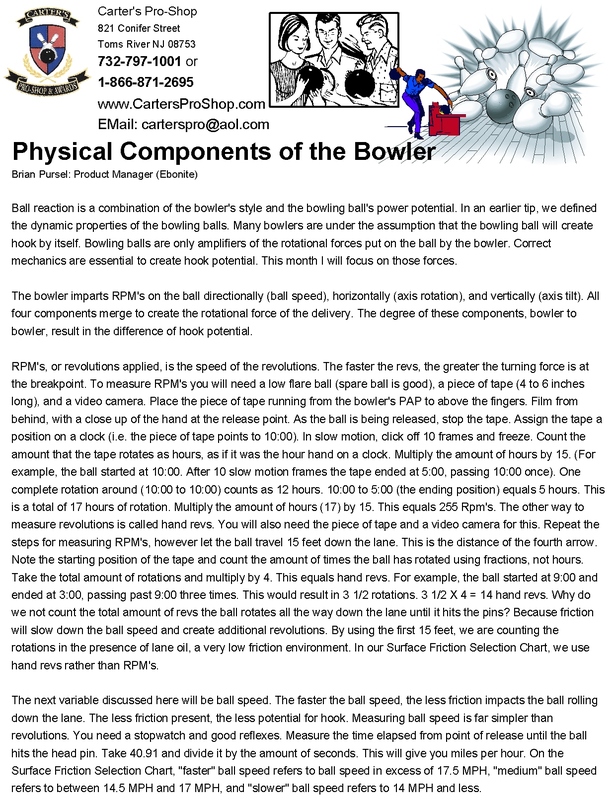 If you want to maximize your performance on the lanes and keep your ball in optimal striking condition, it is important to properly maintain your bowling equipment. Have your inserts replaced every 3-4 months or 60-80 games. Replace your old inserts for turbo-charged bowling every time. Why use grips? What are grips? Fingertip grips are soft plastic "tubes" which are glued into the finger holes of those who use the fingertip release. Grips, which are softer than the material that makes up a bowling ball, "give" or offer more resistance at the point of release. 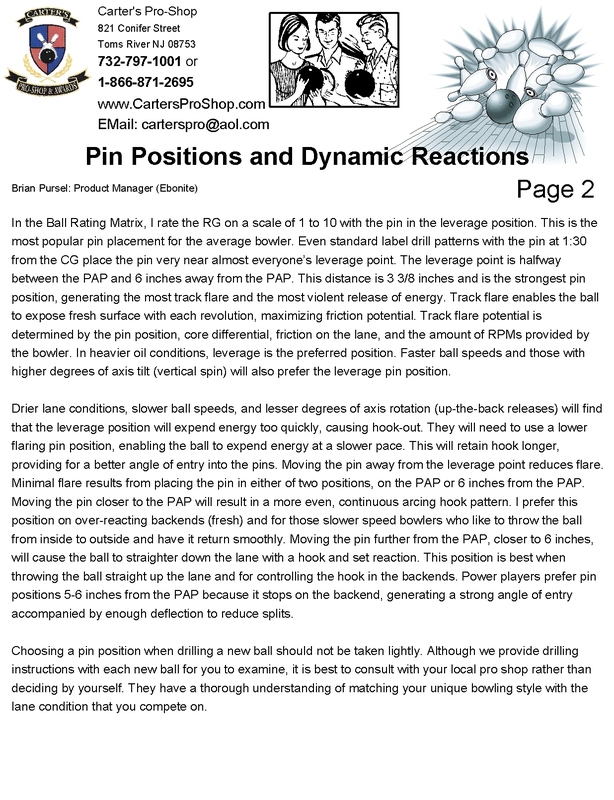 It's this split-second resistance that gives the bowler the added lift that increases revolutions, for improved pin-action. Fingertip grips are constructed predominantly of vinyl or silicone, which are either molded or extruded into the various shapes and configurations. In addition to size and color, grips come in a variety of shapes, and hardness' which can yield dramatically different results. Popular shapes are oval style grips, pitched grips, and round grips. Hardness ratings vary from soft to firm. Consistency, consistency, consistency. If it seems as if everything related to performance revolves around consistency, the release is no exception. Since each ball is constructed of different materials, the texture, the tackiness, and the resistance varies from ball to ball. Finger grips and thumb inserts help provide the bowler with a consistent feel from ball to ball, thus promoting a more consistent release. 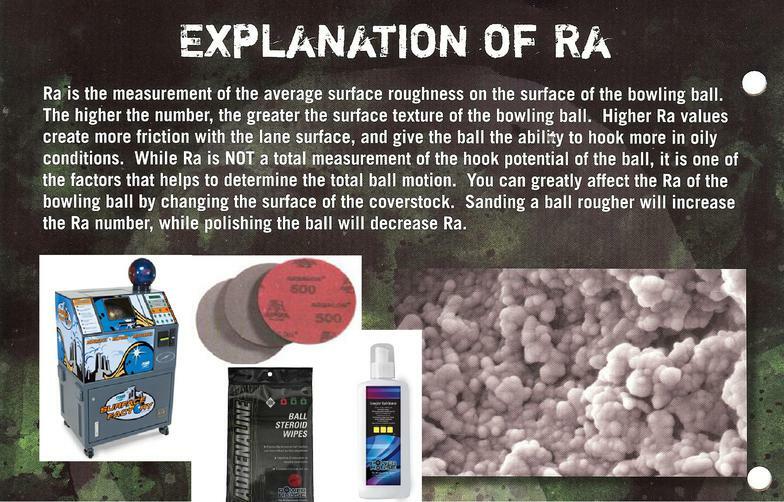 Having the proper amount of surface friction on the bowling ball’s surface is the most important factor in obtaining a favorable ball reaction. Having too much (the ball is not smooth or shiny enough) or having too little (the ball is too smooth) can severely hinder your ball reaction. 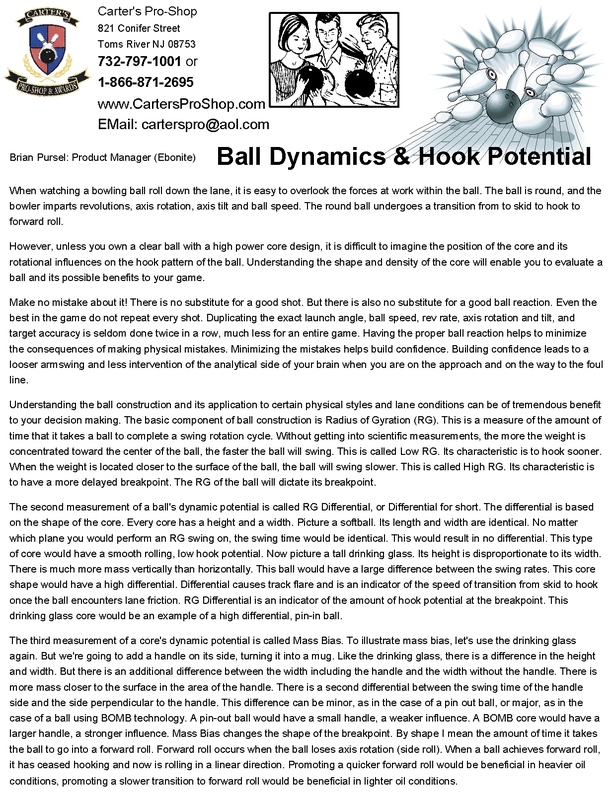 While it is very important to consider the proper RG (early rev versus late rev) and Differential (flare and hook potential) when picking out a new ball, having the proper relationship of friction between the ball’s surface and the lane surface is paramount in maximizing ball reaction. It does not matter what size of engine a car has in it if the tires do not provide the proper contact with the road. One can vary the breakpoint greater with sandpaper and polishing compounds than with drilling techniques using different pin placements. 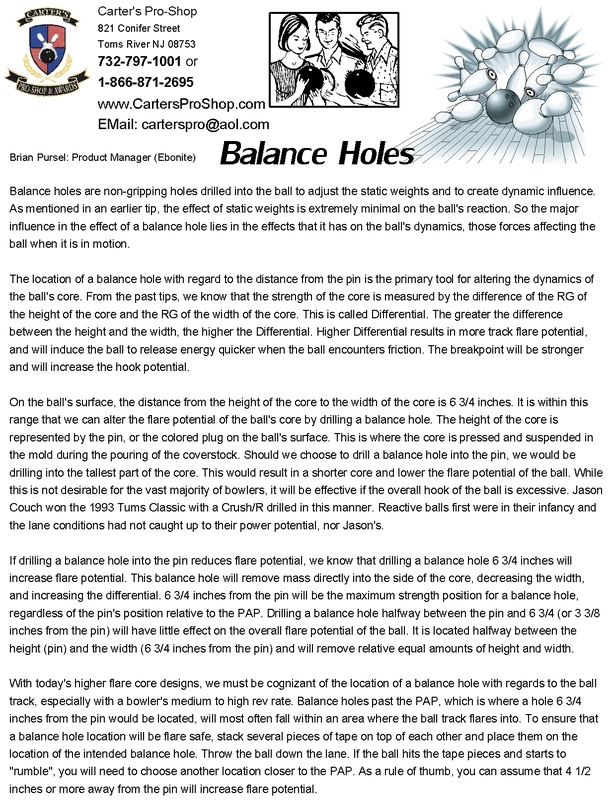 Keep in mind that having the proper surface texture, sanded or polished, is the MOST IMPORTANT variable in ball performance. Having too much texture can cause a ball to lose energy prematurely, and having too little texture can cause a ball to conserve energy too long, creating excessive skid. For maintaining the traction attributes of sanded products, it is recommended re-sanding every 30-40 games with the original grit, then clean with a cleaner. This will restore the oil-displacing texture that the ball had out of the factory. To return a factory polished ball to its original condition, cross-sand (600-800 grit) and polish. 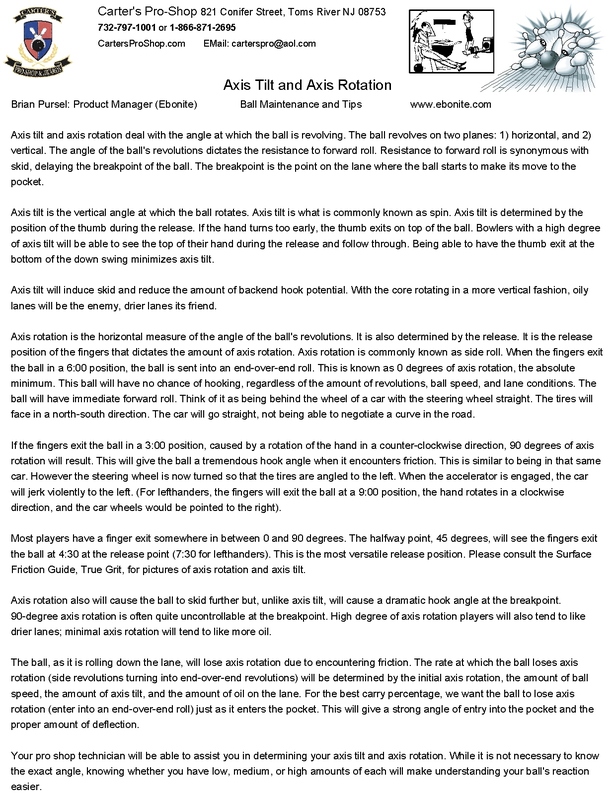 Keeping the surface of the ball clean will enhance the traction and reaction attributes of the ball’s coverstock and extend the ball’s life by removing excess lane oil and dirt. How should I store my arsenal when not in use? I receive many emails in the fall about coverstock cracking, so before a host of incidents come up, I would like to give you some guidelines for storage. There are a lot of forces at work in a high performance ball, the main components being reactive resin coverstock and the weight block. These two properties and one additional force are why bowling balls can crack from storage. 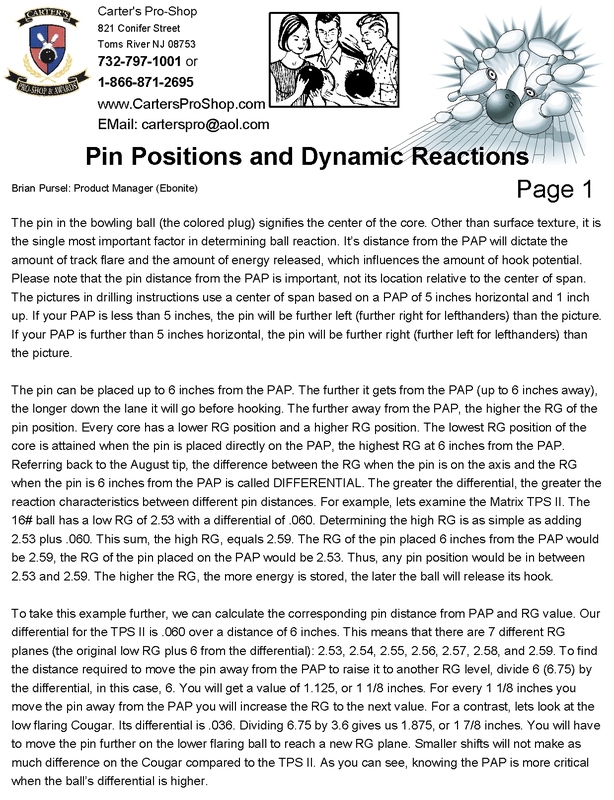 The major culprit causing bowling ball coverstocks to fail is gravity. If you store your equipment on a flat surface, like the floor, the earth’s gravity is pulling the dense core through just one square inch of the cover. This places quite a bit of pressure on the coverstock and could cause a crack to appear over time. The core is extremely dense, nearly rocklike while the coverstock has elasticity. Over long durations of time placed in one static position, the constant pressure of that core going one way and the coverstock trying to hold it back can cause the coverstock to fail. This happens a lot over the summer months when most bowlers store their equipment from June until September when their fall leagues begin. They open their bag and are surprised to see a crack that wasn’t there a few months prior. The solution to the gravity issue is very simple. 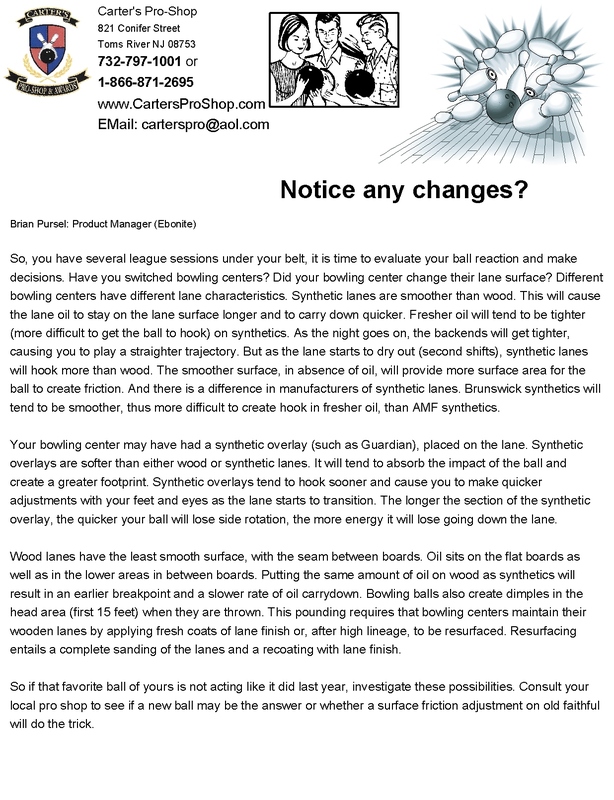 Rotate your bowling equipment. Just a quarter turn every few weeks will remove the pressure and drastically reduce the chance of a coverstock failure. There’s one more factor at work during long term storage of bowling equipment: open air exposure. 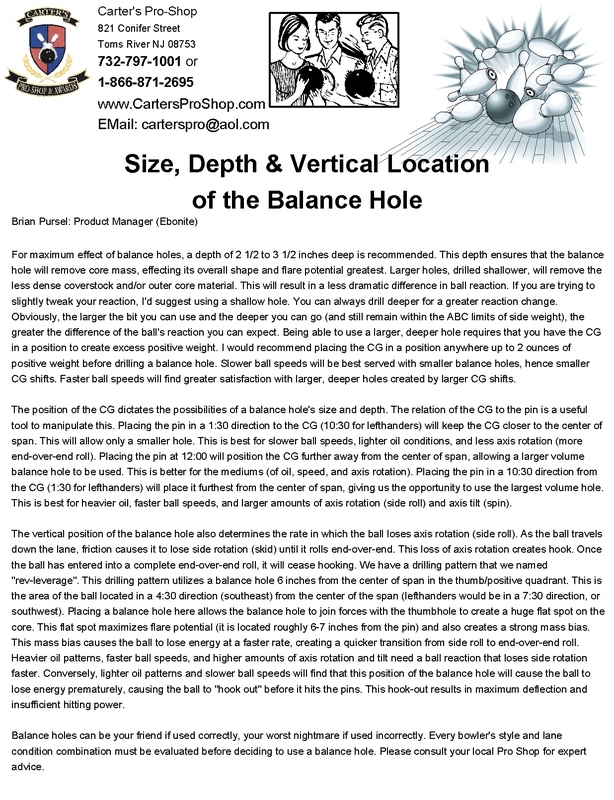 The reason Ebonite condones use of dry heat to remove oil from the surface of a bowling ball is that it accelerates the evaporation of the coverstock. Bowling balls cure during the manufacturing process at a very specific temperature for a certain amount of time. Though the surface is fully cured by the time it leaves the factory, they continued to cure for a period of months to years. You should use ziplock bags, plastic wrap or plastic bags with twist ties to insulate the coverstock from air. Get as tight a fit as you can. If you happen to use a garage or damp basement for your storage, it will also ensure that the cover won’t accumulate and mold or mildew. What’s best is a location close to room temperature. 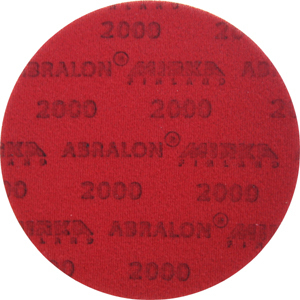 Abralon is a superior sanding and polishing product for bowling ball surface applications. Used to achieve extremely fine polished surfaces with minimal effort. eliminates "finger marks" when hand sanding. Available in 180, 360, 500, 1000, 2000 and 4000 grit.